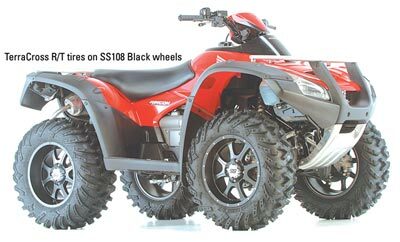 ITP SS 108 ATV Wheels - 12"
Hard on the heels of ITP's new-for-2007 SS106 and SS112 Alloy wheels comes the all-new SS108. 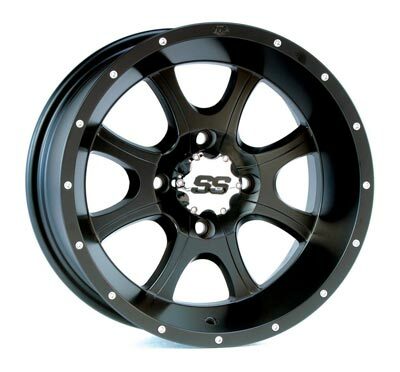 This dazzling 8-spoke wheel is available in two stylish finish options: bright, diamond-cut machined with black accents (topped with a tough clear coat), or in a dramatic satin black. As with the SS106 and SS112, a custom SS wheel cap is included. 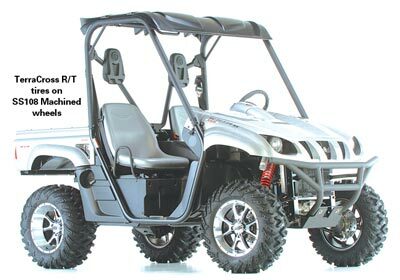 They're available in a 12x7 size, as well as unique 14x6 and 14x8 sizes designed specifically for front and rear applications, respectively. 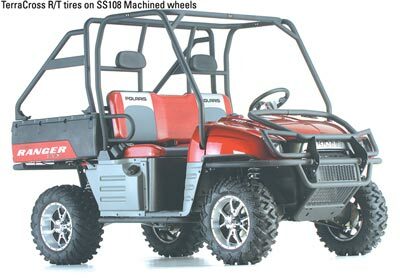 These dedicated sizes provide more precise fitment and make the most of 26- and 27-inch radial tire performance. 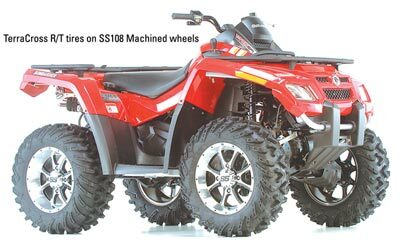 Like its predecessors, the SS108 is manufactured through ITP's high-tech Advancecast process, resulting in an incredibly strong yet light one-piece aluminum wheel. 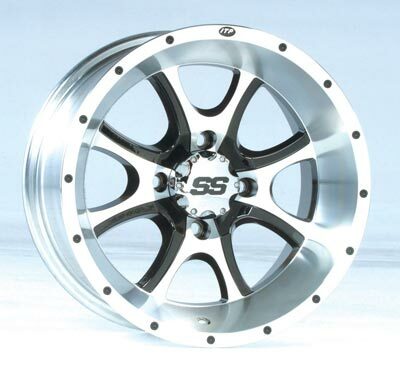 All SS Alloys have proven to be so durable, in fact, that ITP offers these wheels with a lifetime structural warranty: if you bend or break it, ITP will replace it! 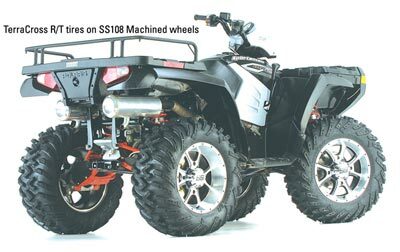 The ITP SS108 wheel is available for most late-model 4x4 sport/utility ATVs as well as side-by-side UTV applications such as the Yamaha Rhino. 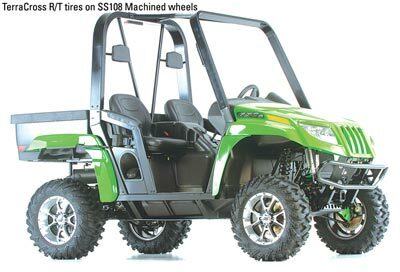 The 14-inch models are a great choice for UTVs, as they carry a 650 lb. load rating! 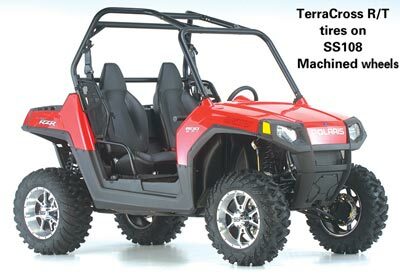 ITP is also making the SS Alloy line available in convenient, pre-mounted tire/wheel kits, using ITP's popular Mud Lite XL, Mud Lite XTR and TerraCross R/T tires.